With the fast development in technology everyone is looking for were to hide but it seems no place is save anymore, hence there are applications that detects callers name, phone numbers, exact location, read your SMS and so much more application in this form and everyday brings innovation and upgrade on these apps, these developers has left us with a question mark, can we ever clean our finger prints on the internet?. But I think we can do more if we all take preventives measure in what we do and how we do it because before now no one knows what a digital fingerprint was, hence we all just post our pictures, and status updates, pin our posts and tag friends and then the next thing we are all on air happy feeling all good hahaha !!!. Later, we finally became educated, our orientation changed and the we realized that everything we are doing, and I mean absolutely EVERYTHING, that we have posted on the internet will remain there forever. And that this is searchable and visible by our employers, families, future husband and wife and even your very own children. This civilization and orientation has lead us to the quest of how to clean or even wipe away all our finger print from the internet, Not because you have not be sincere to everything you have done but sometimes you just think you were so naive doing them at that point and you would have not done them or posted such things if it is now. 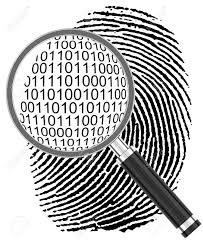 Some tips and trick to clean up that digital fingerprint and get ready for a brand new future. Change your passwords once in every month. Disable cookies and push notification in sites. Never save passwords on public computers. Clean your browsing history whenever you’re done with online stuffs. Make sure to logout your account always when not online. Always use case sensitive passwords don’t click on sign using Google or Facebook details. Although your timeline may be set to friends only or whoever you want, but you must know that your posts are not. You will want to make sure you also set your privacy settings for your posts as well. The most easy and common way of doing this by going into your privacy settings and changing the settings on your “Who can see my posts section. Another way is by editing or deleting of past posts through your activity log. It is very hectic job to do, but well worth it if you want to hide those embarrassing late night posts or childish love lust posts from your future audience. Simply go to the drop down of each past post and change the privacy settings individually. Use various search engines and search your name as web-links and as images. If you cannot make any changes yourself because someone else has posted them, reach out and ask that your friend remove that embarrassing photo or tag. If you do not know how a photo of you has appeared on a social media site, you can reach out to the administrators of that website and kindly ask them that they remove that as well even though they might ask you series of questions all the same you can do it to secure that future of yours. This step is important. Many of us overlook the personal blogs or the long forgotten social sites. Make this step the cleansing step. Go through your older blog posts, websites diaries, notebooks and notepads and filter them of unprofessional content. Find all your old abandoned social sites and erase them. Always bear in mind that the evolution and the trend of technology only suggests that we will be spending more and more time online – which means you will want to remain clean. Take the above precautionary steps, be creative and think before you post the next time so you will an exemplary step for your loves one’s and kid finally and you will look as pure as the angel that you want to be even though you are not. ← Using Office or public Wi-Fi ? This What You Should Know. Very informative and practical guide. A really good reminder that we need to be careful! I have many friends whoms facebook account have been hacked and even a blog site! Its enlightening since I feel like a lot of us tend to forget how the internet isn't always what we think of it. Thanks for remembering how safety on the internet is important! Kind of a scary world we live in nowadays, spending so much time online, everyone should be aware of their digital footprints, thank you for bring it to our attention.